This book, now in its revised second edition, was written primarily for ESL students. However, it's also useful in remedial English courses presented on high school and college freshman levels. Students of English as a second language quickly discover that English is unlike their native tongue in the many ways it uses prepositions. The majority of other languages have relatively few prepositions, each of them serving many different communication purposes. English is different in that it has dozens of prepositions, none having exact equivalents in other languages. 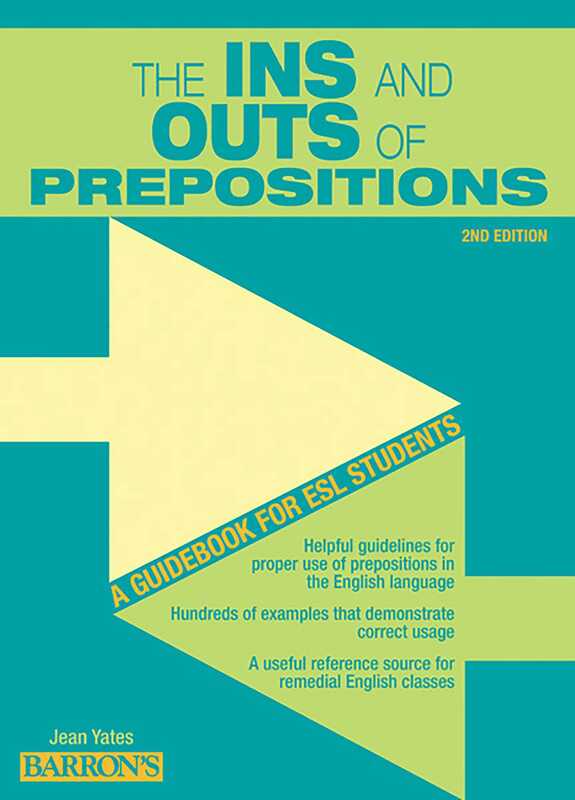 This book offers practical guidelines for correct preposition usage, and provides hundreds of examples that incorporate English prepositions into familiar contexts. The author examines more than 60 prepositions.